Premium quality GRAIN-FREE dry kibble dog food with a high meat content. 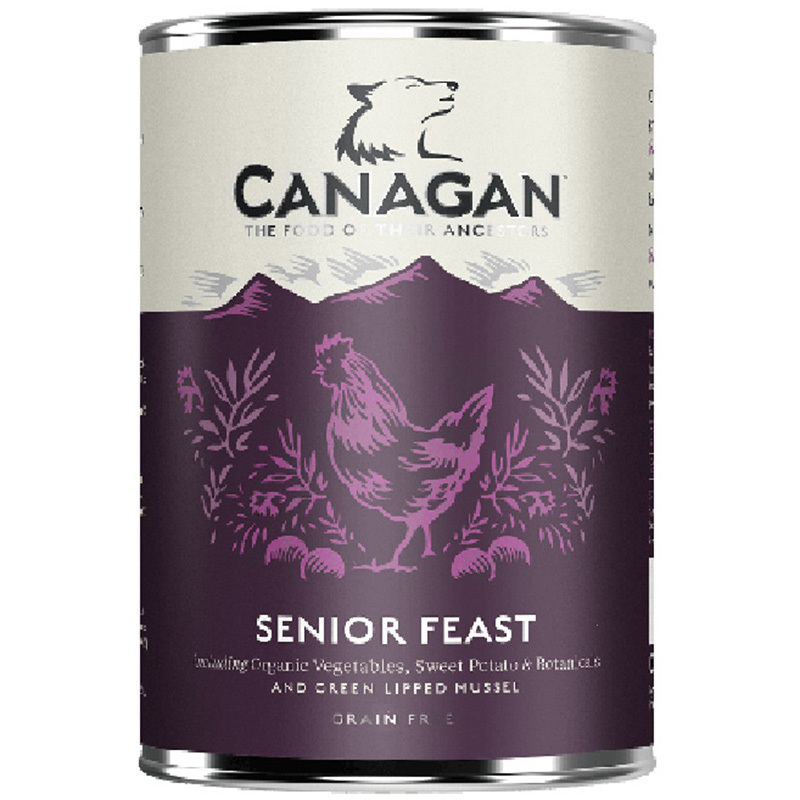 Canagan Dog Food has been formulated to provide optimum nutrition for your pet and contains 60% animal ingredients : 40% Vegetables, Botanicals, Vitamins & Minerals. Chicken is an excellent source of protein, vitamins, phosphorous and selenium. freshly prepared deboned chicken (26%), dried chicken (25%), sweet potato, peas, potato, pea protein, alfalfa, chicken fat (3.1%), dried egg (3.1%), chicken gravy (1.6%), salmon oil (1.2%), minerals, vitamins, glucosamine (1000 mg/kg), MSM (1000mg/kg) apple, carrot, spinach, psyllium, seaweed, fructooligosaccharides, chondroitin (700mg/kg), camomile, peppermint, marigold, cranberry, aniseed and fenugreek. 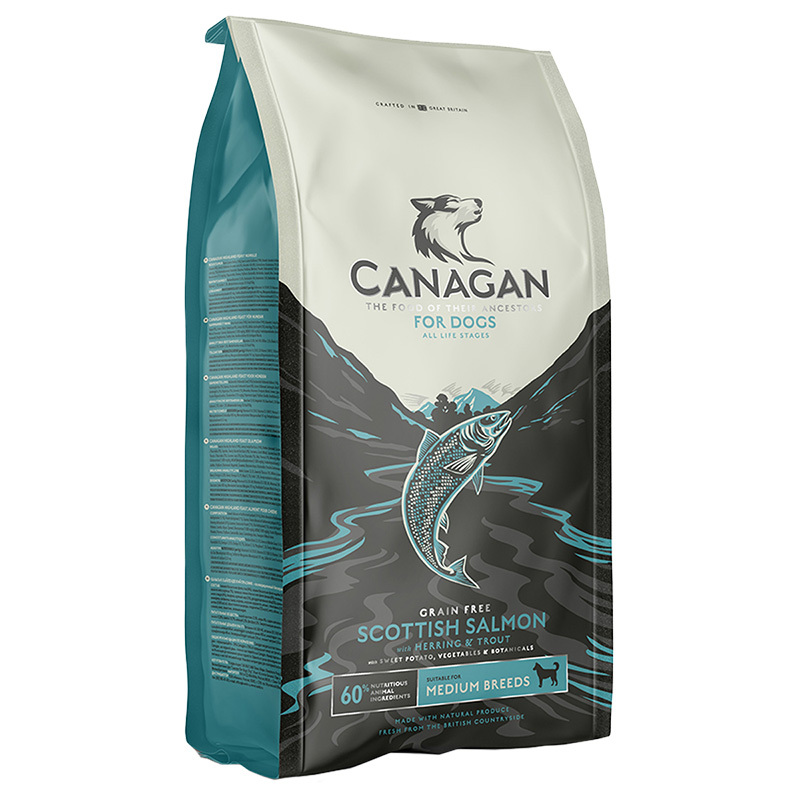 Each dog is unique and the optimal feeding amounts vary significantly, depending on factors such as age, activity, metabolism and environment.